How to use psychology to grow your SaaS business & reduce churn: Every month, more businesses commit to the recurring revenue model used by SaaS marketing companies. According to Zuora’s Subscription Economy Index (SEI), subscription business revenue is growing 8x faster than the average S&P 500 company. The SaaS sector though is relatively young and ferociously competitive, which means companies have to use every tool at their disposal to survive in such a difficult business environment. There is a tendency to examine the SaaS marketing challenge from purely a rational perspective. However, research by Daniel Kahneman, the first psychologist to receive the Nobel Prize for economics, showed that even the most objective thinkers are prone to cognitive biases and rules of thumb. Such psychological tactics can be used to the advantage of SaaS marketing to nudge business people in the direction we wish to take them. In this post we will examine a number of these psychological weapons of persuasion in detail to help you gain a competitive advantage with your SaaS marketing activity. 1. The Power of Free! The free trial has become synonymous with SaaS marketing because it allows business people to try out your service risk free. As there is no upfront capital investment required people are afraid of missing out on something for free as they are loss averse. This is compelling because people hate the feeling of regret when they make a decision that leads to a negative outcome and people often perceive the value of free offers as significantly greater than they are in reality. This means that the cost of a free trial is usually outweighed by the extra sales and revenues you receive from such an offer. Further, by getting people to subscribe for free you benefit from the endowment effect. This is the tendency for people to over-value items that we own or partially own compared to those products or services they don’t possess. It also shows that you have confidence in your SaaS product and user experience as if customers are not satisfied with your product and after sales service they are unlikely to renew their subscription when they have to begin paying for the service. Finally, a free trial is also a great way of generating reviews and testimonials which encourages your story to be spread through word of mouth and social networks. Giving away something for free often triggers a desire to reciprocate and what better way than asking your new customers to provide a review of your SaaS product. Social proof is an important driver of decision making because it is often used as a short-cut to deciding who you can trust. Have you noticed how often SaaS companies show you their lowest priced offer first because they assume they need to appear price competitive? In fact this approach can be counterproductive because of a cognitive bias called anchoring. This refers to how people’s decisions are overly influenced by the first price they are exposed to and this then becomes a subconscious reference point for all subsequent judgments. People automatically make decisions by adjusting away from the anchor price. This means that if a pricing page displays the highest priced plan first (lowest from left to right) this will create an anchor price that all other plans will be compared against. This ensures the company sets the highest anchor price possible and this will help make other plans appear more cost effective than if they had displayed the lowest price first. When people are presented with two distinct choices the introduction of third (a decoy) plan can change their preferences towards a more expensive option. The decoy plan must be a clearly inferior option to an existing premium plan to make the latter look more attractive. In this example the introduction of the plan on the far left (Print only subscription) draws attention away from the digital only option (far right). Experiments have shown that this persuades more prospects to select the digital + print plan (in the middle) because it makes it look more appealing. The decoy plan also makes the third option (Digital only) look like a foolish option. Another psychological phenomenon that SaaS marketing companies can benefit from is the center stage effect. This is our tendency that when presented with a number of choices we often select the middle option. This is most effective when the differences between the options presented are simple and clearly communicated. When combined with the anchor and decoy effect this makes for a very persuasive pricing page. The strength of the center stage effect is further enhanced when combined with social proof (e.g. Our most popular plan!) because people are heavily influenced by what they believe other customers are doing. In SaaS marketing the barriers to churn are often low. The only costs incurred are often training and transferring data. However, a high churn rate (e.g. over 30%) can destroy your business model. To reduce your churn rate you can use our natural fear of loss to increase the barriers to switching and thus make your customers more loyal and increase their life time value. “Loss aversion is a powerful conservative force that favors minimal changes from the status quo in the lives of both institutions and individuals.” Daniel Kahneman, Thinking, fast and slow. One way to achieve this is by increasing the perceived cost of switching by structuring your product as if it is modular. 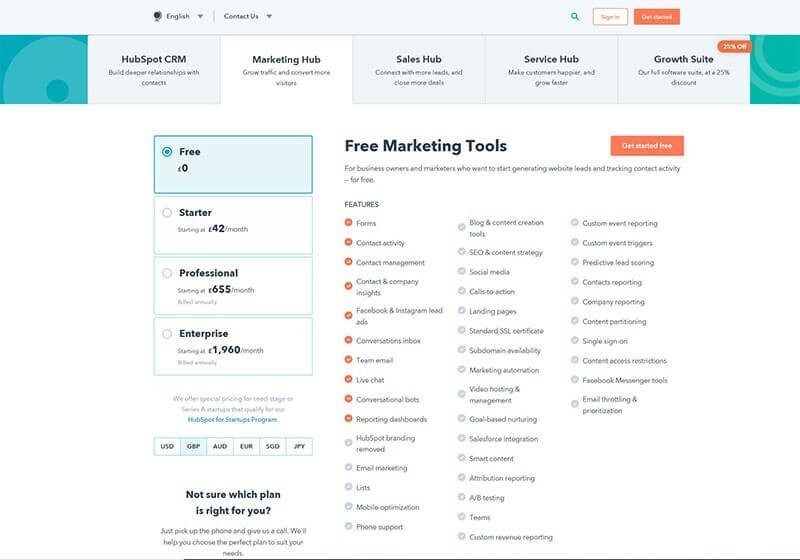 Hubspot use this approach by initially offering free access to their Marketing Hub. Once you have subscribed to one service it is a lot easier for them to promote other complementary services such as the CRM, Sales, and Service Hub. As a result of this your business becomes more dependent upon their SaaS product to work effectively and less likely to switch to another solution. Integrations with other software vendors are often seen as a product cost rather than a marketing benefit. However, if you can get customers to integrate your software with their other key applications you turn your stand-alone software into an integral part of their business ecosystem. The more integrations, the more dependent customers become on your SaaS software and the greater the perceived loss if they churn. You can further increase the perceived barriers to churn by investing in an on boarding process that rapidly guides users to success. Ongoing support and training is also critical to ensure customers continue to realize the value they expected to achieve from your solution. If possible you should allow users to customize your service to their specific needs. This might be a personalized dash-board or changing default settings to align the user interface with their brand values. Psychological research has shown that people value things more when they have partially created them compared to items they have not been involved with building (see the IKEA Effect). This effect can be undermined if users fail to complete it successfully and so support in personalizing your solution can be especially productive. Isn’t it frustrating when you miss out on the last cookie in the jar? Scarcity is something we come across all the time and the psychologist Robert Cialdini has conducted experiments which show that we place a higher value on items that are perceived to be scarce and a lower value on items that appear abundant. This is because as something becomes less abundant people perceive that they lose freedoms and people dislike that immensely. Scarcity is especially powerful when launching new functionality. It can be used to create a viral effect because it encourages existing users to sign up to the new functionality and reciprocate by recommending to peers in exchange for some kind of discount or benefit. SaaS marketing companies can use perceived or real scarcity as a powerful persuasive technique for growing their business more rapidly. 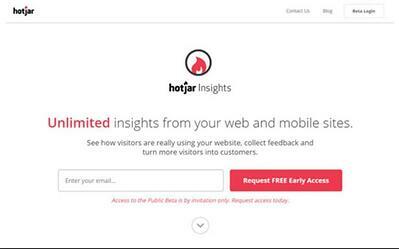 One start-up SaaS company that used scarcity to its full effect was Hotjar, the user experience and survey tool. 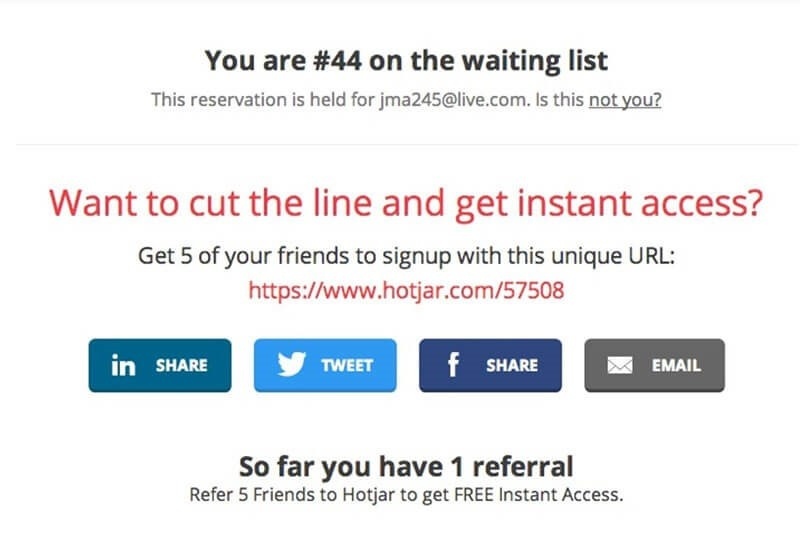 When Hotjar launched their free Beta they asked users who wanted early access to register to join a waiting list. Users were also informed that access to the Beta was by invitation only and thus potentially limited. Once registration was completed prospects were informed of where they were in the waiting list and sent regular updates on progress towards getting access. However, users were also given the option to get instant access by getting 5 referrals. This used the power of scarcity to persuade prospects to find other potential customers for Hotjar and helped their campaign go viral. Hotjar rapidly grew its customer base as a result and is now an established B2B SaaS provider in a highly competitive market. When you see your doctor you generally do what they suggest because we respect authority. Psychologists have found that even the appearance of authority increases the likelihood that people will adhere to advice or requests. We can’t all wear white coats but we can use the perception of authority to persuade prospects to sign up to our SaaS product. SaaS marketers can create the perception of authority in a number of ways. People respect technical knowledge and expertise which can give such individuals or brands greater authority over those without such skills. Make sure you prominently display awards, logos of established partners and professional bodies on your landing pages. Similarly information is power and organizations that control knowledge can exert power and influence by restricting access to such information. A high quality blog written by well-known expert writers can enhance your authority in your field. If you also limit access to some white papers or posts by asking users to provide contact details you can also use it to improve your prospecting activities. SaaS marketing companies can also project authority by demonstrating their credentials to operate in a sector. This may be that you are the first to introduce a new innovation into the market, your software integrates with more other SaaS software vendors than your competitors or you are the market leader. Organizational size or characteristics can also be used to show control over important resources or it may give you a competitive advantage (e.g. number of languages spoken by Customer Support). Finally, social connections can also be valuable as our level of authority can be greatly increased by demonstrating active support from large and influential social networks. This is not just the number of likes or shares, but testimonials from large and established B2B customers can be very persuasive in building trust in your site. People love to have regular feedback on their progress towards a goal as this helps motivate them to complete a task. But research conducted by the psychologist Clark Hull demonstrated that as people get closer to achieving a goal they accelerate their behaviour to complete the task. This means people are more motivated by how close they are to completing the task rather than how much progress they have made. This is especially critical during the activation process of low-touch web sales type SaaS software. First impressions are important and so it with the first time a user experiences your solution. It is essential that your onboarding process rapidly guides users towards that “wow” moment to remind them why they signed up to your SaaS product. 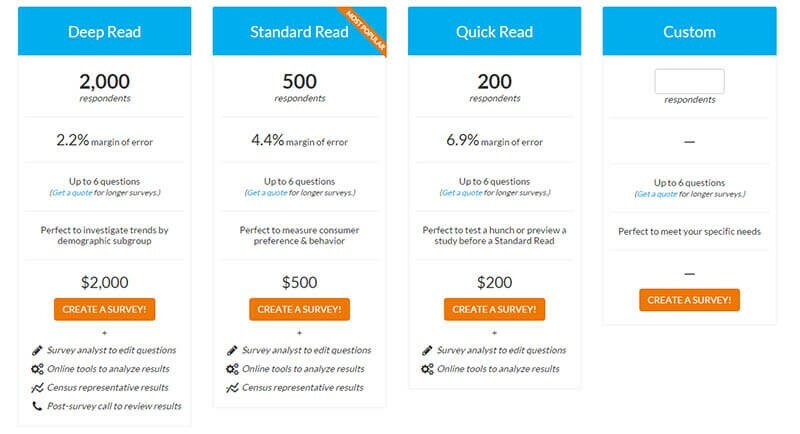 For SaaS marketing companies this confirms the importance of always giving users feedback on how much progress they have made towards completing a task. However, put more emphasis on how close they are to achieving a target rather than how much progress they have made. You can achieve this through progress indicators (e.g. steps completed on a sign up form), push notifications, SMS reminders and email updates. However, research shows that even the illusion of progress increases motivation and task completion. This can be achieved by always showing progress even on the first step of a task. Beak up a task so that it is easier to make progress on the first few steps so giving the perception of more rapid progress. This will help motivate users and lead to more rapid progress on the final few steps. Everybody loves to have choices, but research by psychologist William Hick showed that the more choices you present someone, the longer it takes them to make a decision. For SaaS marketing this means launching with a minimum viable product (MVP). Avoid mission creep by adding more options and features just because your engineers can. Use defaults for most settings that users will rarely need to change rather than making them an explicit choice for customers to make. Focus on customer needs rather than what your competitors are doing. Conduct usability research to see how easily customers can navigate and complete tasks without the necessity to shown them too many options to choose from. Get feedback from users and prospects before introducing new options and features to understand how valuable they are likely to be to users. If you have sufficient traffic on your site consider conducting A/B tests to measure the effect on behavior of giving more prominence to a new feature and how it influences key metrics. Many SaaS websites have learnt this lesson and limit options to one or two call-to-actions on their B2B landing page. Removing or hiding navigation is another way of avoiding distractions and nudging users down a single flow. Here Pipedrive.com use this approach to minimize leakage in the conversion funnel. What do you remember about your last holiday experience? I reckon that you remember the most intense point and the end of your holiday. This is a psychological heuristic known as the peak-end rule made famous by Daniel Kahneman in a 1993 paper on how people remember pain. What Kahneman discovered is that people’s memory of an event is mainly determined by the most intense stage of an experience (e.g. creating a new campaign in SaaS software) and the end of the experience (e.g. submitting the campaign for publication). Interestingly people’s perception of an experience largely ignores the time taken to complete the process. For SaaS companies this has important implications. It means don’t focus on how long something takes (e.g. a conversation with a Customer Services representative), but instead ensure you identify the most intense steps in a process and focus on making them a slick and positive experience. Increasingly SaaS companies are using artificial intelligence to identify when users are struggling with a process on their site. Offering Live Chat or a chatbot can provide positive assistance to customers needing help. A bot can also be trained to engage with new visitors to suggest a demo request to create a positive experience. Another way to benefit from the peak-end rule is to congratulate customers whenever they complete a task or end a process in your application. MailChimp for example displays a “High Fives!” message when a user sends out a new email campaign. SaaS marketing has to be led by data and insights to be effective. As we have seen from the psychological insights business people are just as prone to being influenced by cognitive biases and heuristics as your average B2C customer. The free trial may be heavily criticized by management accountants, but it shows you have confidence in your product and it reduces the risk of regret for the customer. Remember pricing is heavily influenced by the first number we see. Always show your highest price first, create a decoy plan to nudge preferences towards a more expensive option and position that plan in the middle of the table. A high churn rate can be fatal to a SaaS marketing company and so use loss aversion to improve loyalty and life-time customer value. Give a high priority to enabling integrations with other SaaS vendors and legacy systems so that your software becomes a valued part of your customer's technology ecosystem. Provide the necessary training and support to help your customers rapidly achieve success and allow for customization of your software to increase perceived value. Don't allow unrestricted free access to your SaaS software as actual or perceived scarcity makes people value your product more highly. Become a thought leader by demonstrating that you hold technical knowledge and expertise which gives you greater authority in your field than your competitors. Leverage customer testimonials and business relationships to influence prospects to convert. Always give customers feedback on how they are doing when undertaking a task. Focus on how close they are to achieving a goal rather than how much progress they have made. Avoid giving customers too many choices and always focus on customer needs to avoid mission creep. Pay less attention to how long it takes for a customer to achieve a task, but instead be their for the most intense moments of the customer experience. Use customer feedback and technology to identify and respond to these moments of truth. This can help prevent an intense moment being perceived in a negative way. Does your SaaS software give appropriate feedback to users as they undertake tasks and does it congratulate them when they complete a project or significant process? If not, are you missing out on a valuable psychological tactic to improve the customer experience and reduce churn?